Sarah Olson has been with the firm for 17 years. For over 40 years, BerryDunn, located in Portland, ME, has provided full-service accounting and consulting to a variety of industries and sectors. Its focus is on personal client relationships with those it serves. It offers both internship and full-time opportunities for students interested in accounting and/or consulting. BerryDunn recruits during the fall for these opportunities. This is the second year in a row that BerryDunn has participated in the program. Students were treated to lunch followed by exposure to a sample training session involving a Tax Case Study. The students were provided with a 1:1 tour of the firm, a Q&A session with recent hires, and a 1:1 Session with Tax Partner, Dave Erb. Walking through the halls, I couldn’t help but notice the greetings and the smiles. Dave Erb attributes part of the firm’s success due to its direct impact with clients and internal, organic growth. Despite this growth, the firm has been able to sustain its small business and family culture. During the trip, students learned to take the size of the firm into consideration when looking for employment. This gives students the opportunity to be exposed to various things and potential career growth. Students might be surprised to hear that most learning happens on the job and there is continuous learning. Writing, client relationship skills, critical thinking, creativity, and adapting to change are critical to success. From this visit, it was clear that this little BIG firm has a lot to offer to candidates, clients, and the community in which it resides. 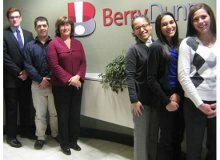 We look forward to BerryDunn’s continued participation in the Road Trips Program. Angelique Torres Kim was a Recruiter in the University Relations space in the private sector. 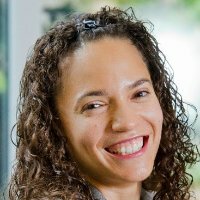 She is now the Associate Director of Employer Relations with Salem State University. Prior to joining the Salem State Team, Angelique was the Employer Outreach Specialist at Endicott College within the Career Center where she built the foundation for the Employer Outreach Initiative. She has served on the Board of the Career Counselors Consortium, Northeast and currently serves on the Road Trips to the Real World and Professional Exchange Visits Committees through the Eastern Association of Colleges and Employers (EACE). She presented during the EACE Annual Conference in May 2013. Angelique holds her MA in Organizational and Corporate Communication from Emerson College. Angelique is a connector and has a passion for helping others by making connections that fulfills the needs of both students and employers. Three Simple Steps to Becoming a Learning Leader at Work. 2019 Board Elections are Open! "Changing the World: Joining the Foreign Service." * Name pending based on membership vote in 2016. Eastern Association of Colleges and Employers (EACE) is on Facebook.